As more of the lords converted to the new faith, Marie of Guise tried to follow a path of toleration, permitting both Protestant and Catholic services to continue side-by-side – her ultimate goal was not religious uniformity, but to keep her daughter Mary recognised as Queen, and in control of the country. Unfortunately religious tolerance was not acceptable in 16 th century Europe either to Catholics or to Protestants and both sides wanted more – the Catholics to follow the crack-downs in ‘ heresy’ being implemented in France, Spain and England, and the Protestants to overthrow the ancient religion, obedience to the Pope, and the alliance with France. In 1558 the Protestant Lords in Scotland formed themselves into a group called the Lords of the Congregation. Lord James did not immediately join this group. He seems to have been attached to his stepmother, Queen Marie, and reluctant to enter into open rebellion. So long as Mary I of England lived, the Lords of the Congregation had no external power to support them against the strength of France, but the situation changed with her death in November 1558. The new Queen, Elizabeth I, was known to be sympathetic to the Protestant cause (although she advanced slowly at home). More importantly for the Protestant lords, her chief minister, William Cecil, was well-known personally to both James and Maitland of Lethington (a leading Protestant, despite being Queen Marie’s secretary) and was a committed Protestant. In November 1558, although not a fully-fledged member of the Congregation, James was one of the signatories to a letter to John Knox, again inviting him to return to Scotland. 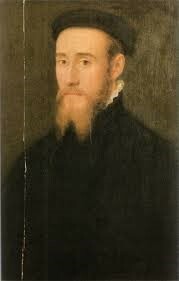 Knox, at first hesitating after the debacle of his wasted trip in 1557, eventually arrived Scotland on 10 May 1559. Two days later he rode to Dundee to meet the Protestant leaders, although James remained with the Regent, Queen Marie. Queen Marie, now that her immediate object of having Queen Mary married to the Dauphin of France was complete, and perhaps alarmed by the spread of the new faith, changed her previous policy of toleration and moved against the Protestant preachers, planning to have them outlawed and exiled. On being urged to keep her promise of toleration she informed her horrified councillors that rulers should not be coerced into keeping promises that were no longer convenient. The banned preachers assembled at Perth. Worried lest they be seen to be an army, rather than a peaceful gathering of preachers, Erskine of Dun sent a message to the Regent assuring her that their aims were peaceful. The Regent listened to him and agreed that the summons to Stirling that she had previously issued to the preachers should be abandoned. Foolishly, in hindsight, she again went back on her word and the preachers were outlawed. Knox began to preach in Perth. He was a man of extraordinary rhetorical power, and, following one of his sermons, an iconoclastic riot broke out, which completely destroyed the interior of the Church of St John’s as well as those of the Friary and the Charterhouse in the the town. Knox, whilst not entirely condoning these acts, referring to them as carried out by the ‘rascal multitude’ ,did not heartily condemn them, either. The Regent could not accept such a challenge to her rule and, raising troops, marched on Perth. She was still accompanied by Lord James, whom she sent, together with the Earl of Argyll and Lord Sempill, to ask the Protestant leaders why they were holding Perth against their lawful ruler. Lord James visited Knox in his lodgings and received messages that the Protestants were not rebelling, but defending true religion. As was usual with Knox he gilded the lily by informing Marie that her religion was ‘a superstition devised by the brain of man’ and that he was a better friend to her people than she. Unsurprisingly, the Regent was ‘somewhat offended’ by Knox’s message. Nevertheless she continued to negotiate and it was agreed that both armies would disband and the Queen Regent be free to enter the city. No punishment was to be carried out and no French troops would be left in the city. Parliament was to be called to resolve the differences between the groups. No French garrison was left, however 400 Scottish troops loyal to the Crown were stationed in the city. This was declared to be a breach of the agreement by the Regent on the basis that pay for the Scottish troops came from France. There was now complete breakdown between the Congregation and Queen Marie. She continued to state that the Lords of the Congregation were not necessarily motivated by religion but wished to overthrow her lawful authority. She summoned more troops from France. The Lords of the Congregation requested help from England, which Elizabeth was reluctant to openly grant, despite the persuasions of Sir William Cecil. The appearance of French troops on Scottish soil led many of the nobles to believe that the French were as bad as the English, whilst the common people do not seem to have been markedly in favour of supporting either side. Lord James, having put off the evil moment as long as possible, was now forced to choose sides. On 11 th June 1559 he, together with the Earl of Argyll, joined the Lords of the Congregation and requested help from Protestant England.